Good morning, With most drawers, I don't need to worry about adding the pulls until after the pieces are glued together. But with some small drawers this can get you into trouble. The pilot holes aren't the problem — they can be drilled from the front. 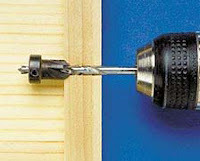 But when the mounting screw needs to be countersunk, the drill is often too big to fit inside the drawer. Fortunately, there's a quick solution. 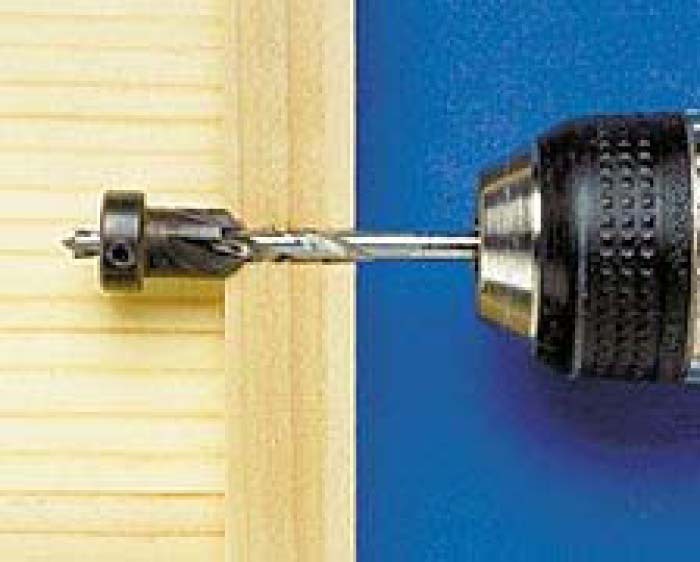 First reverse the countersink cutter on the end of the drill bit, as shown in the photo. Then insert the bit through the pilot hole and chuck it in the drill. Now to countersink the hole, all you have to do is reverse the direction of the drill and gently pull back on the bit.